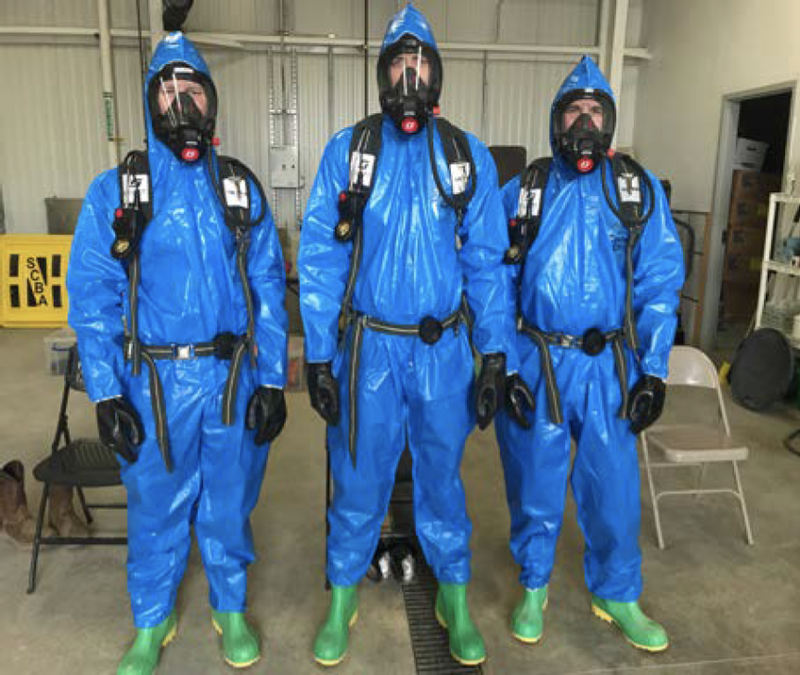 The Iowa Fertilizer Company and their Emergency Response Team requested that TIS conduct a 24-Hour HAZWOPER Hazardous Materials Technician class to prepare them to handle uncontrolled releases of hazardous materials and hazardous substances at their Fertilizer Plant. TIS was contracted to provide the students with knowledge and hands on training to assist them to be competent and fully comply with their Facility Response Plans. Incident Command Training was also provided to assist in managing these types of incidents. The courses were taught by Shawn Burress, Manager of Training Services from our Omaha office, and was conducted on site in Wever, IA. It was attended by personnel from the plant and members of local fire departments. 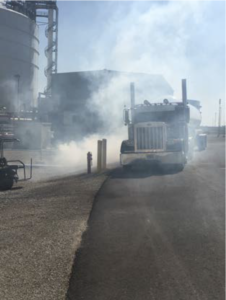 The students were taught chemical and physical properties, as well as other related terminology, of Anhydrous Ammonia and other common hazardous materials. They were taught how to use and apply the 2016 Emergency Response Guidebook, the NIOSH Pocket Guide, as well as using Safety Data Sheets. The students experienced hands on training utilizing various chemical protective clothing options, respirator options, as well as the selection and consideration for safe use of this PPE. They were also taught various Decontamination methods and site safety and health considerations for uncontrolled releases of Hazardous Substances/Wastes and Materials. They discussed various options for the Confinement and Containment of spills. A full-scale drill was conducted at the conclusion of the training to test their competencies.